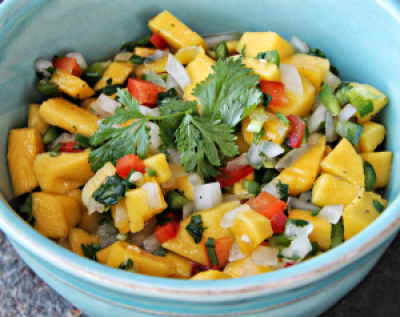 I found these darling champagne mangoes at the market a couple days ago and was inspired to make this very simple, beautiful and delicious salsa. We had it with chips then added it to our lime marinated grilled chicken salads. It tasted like summer. 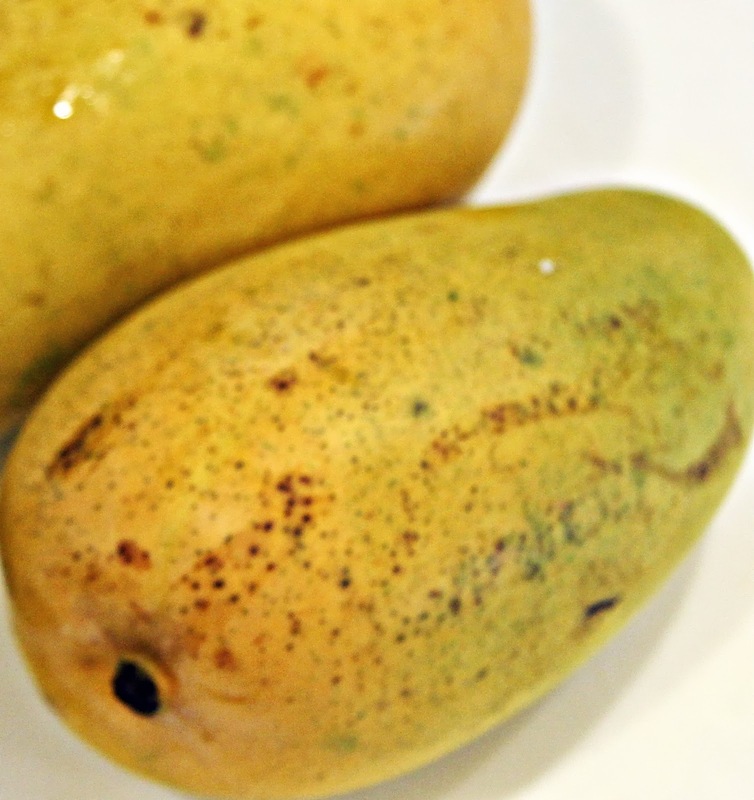 You can use the more common red/green mangoes for this as well. Just make sure whatever type you’re using are good and ripe. 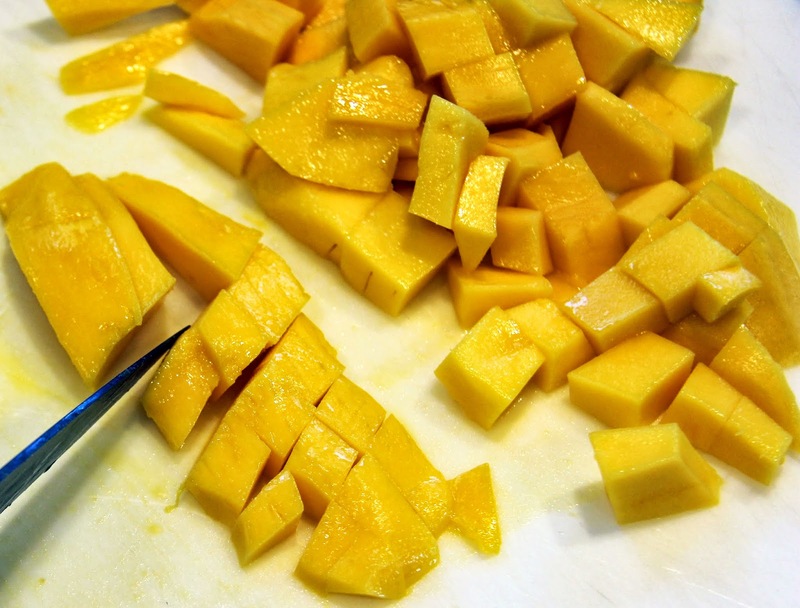 Ripe fruit should always feel a little heavier than it looks and, with mangoes, it should feel soft when gently pressed. 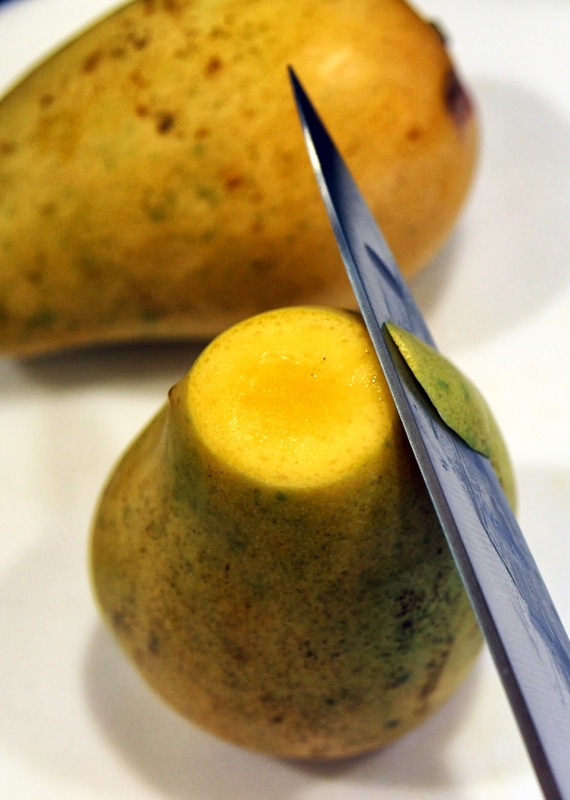 Peel and dice mangoes. 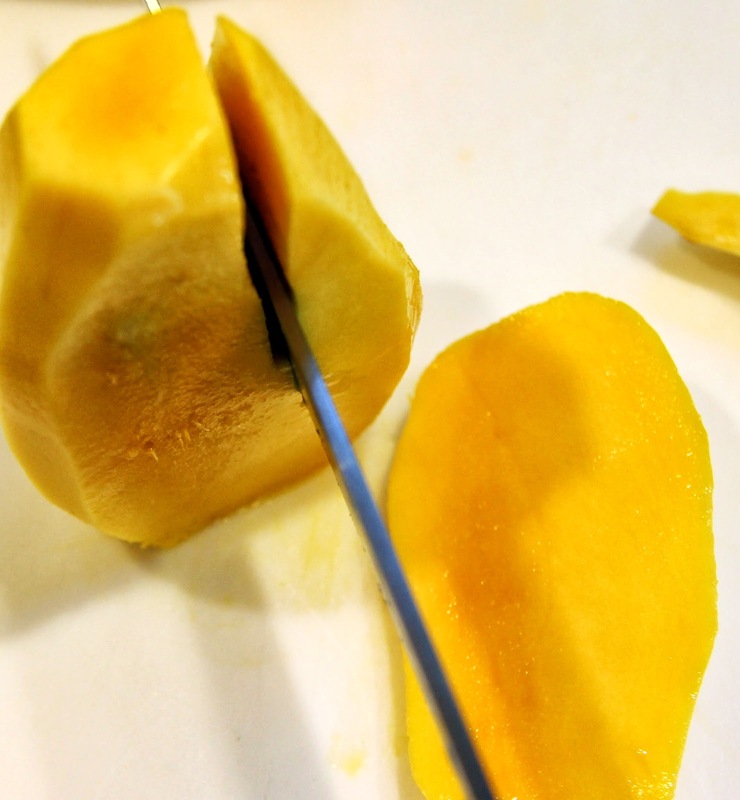 The pit of a mango is oblong and flat and can be sort of difficult to maneuver around but that’s okay. 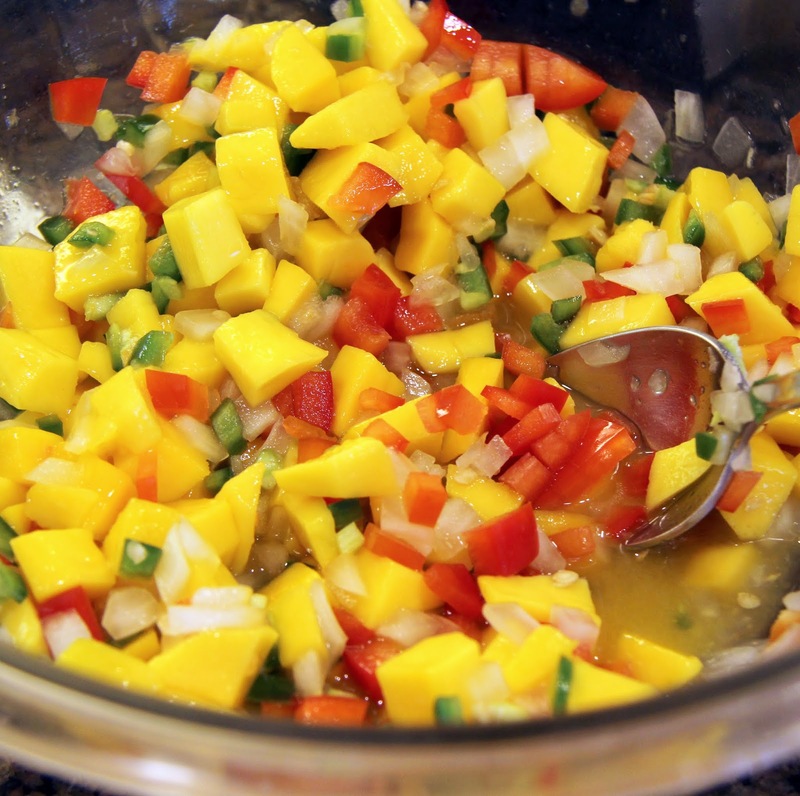 Just feel your way through it and slice away as much fruit as you can then dice it up into small chunks. 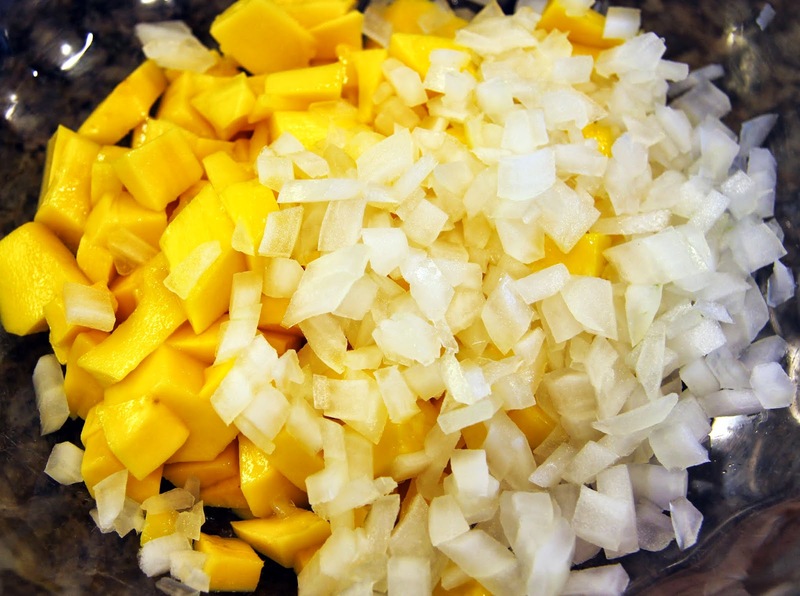 Place in a bowl with the chopped onion. 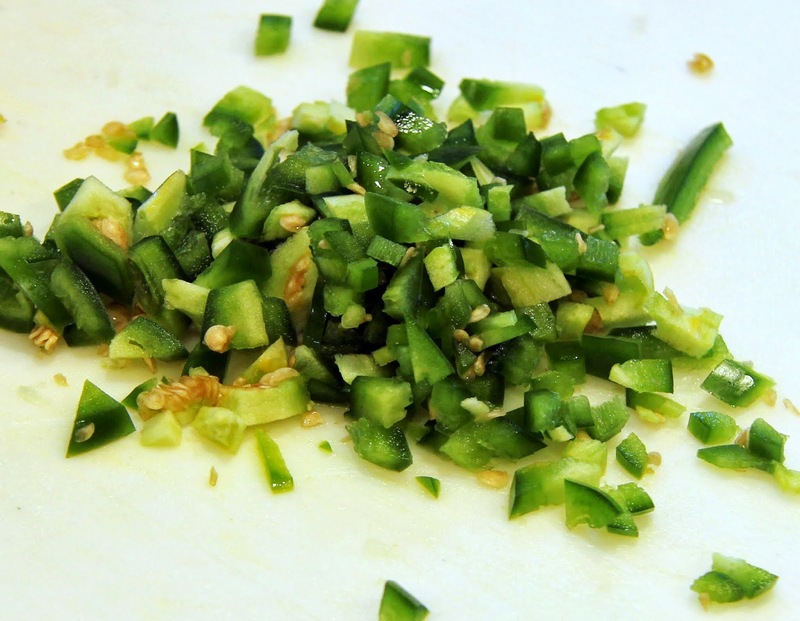 Remove stem, cut in half lengthwise, then finely chop the jalapeno. 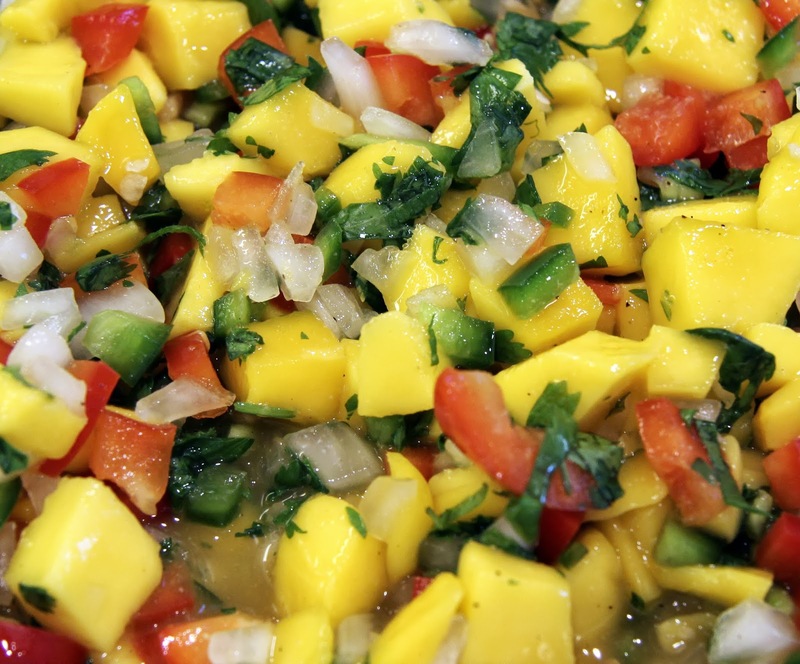 If you want less heat, carefully remove the seeds before chopping. Remember to wash your hands well when you finish so you don’t burn your eyes! 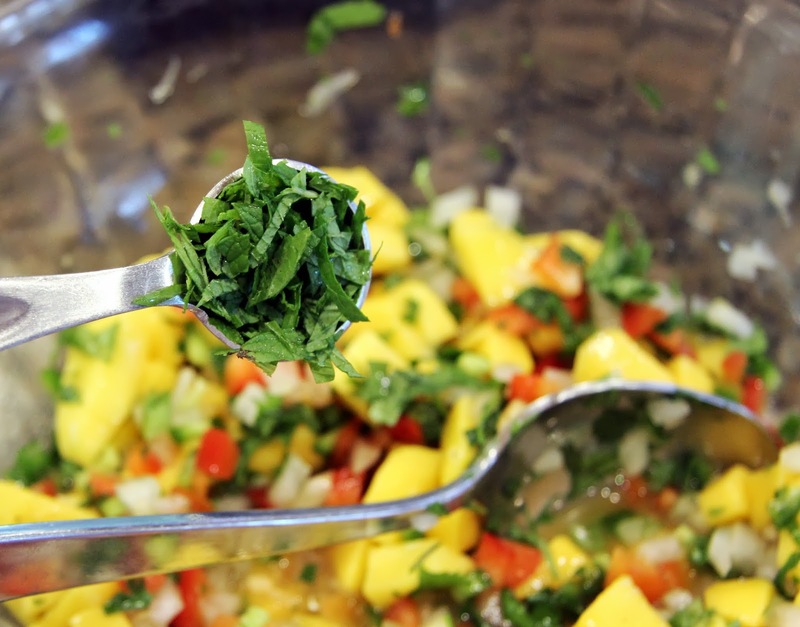 Add chopped jalapeno to the bowl. 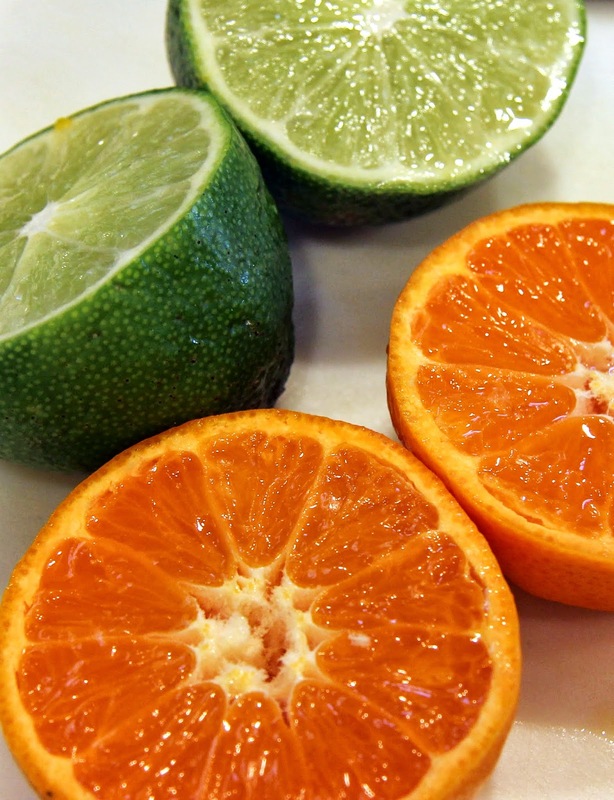 Juice your limes and clementine and add to bowl. 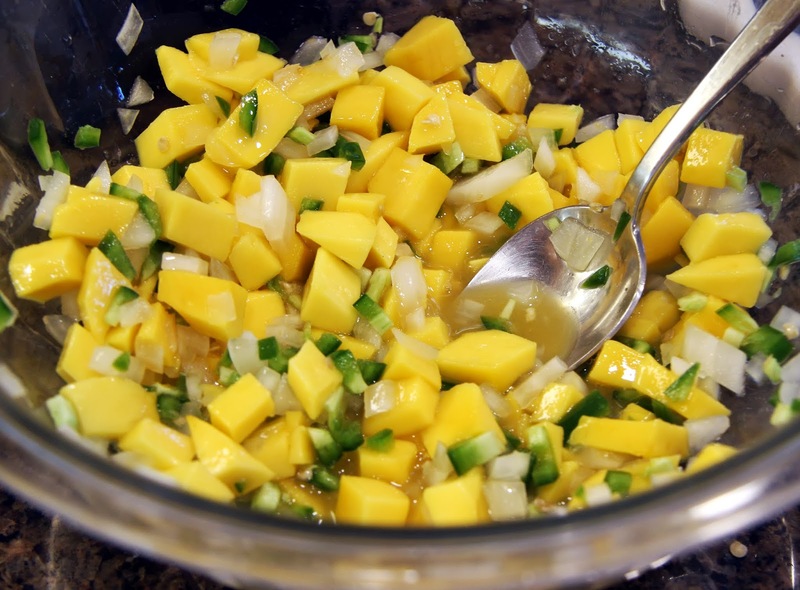 Stir to coat mangoes and friends. 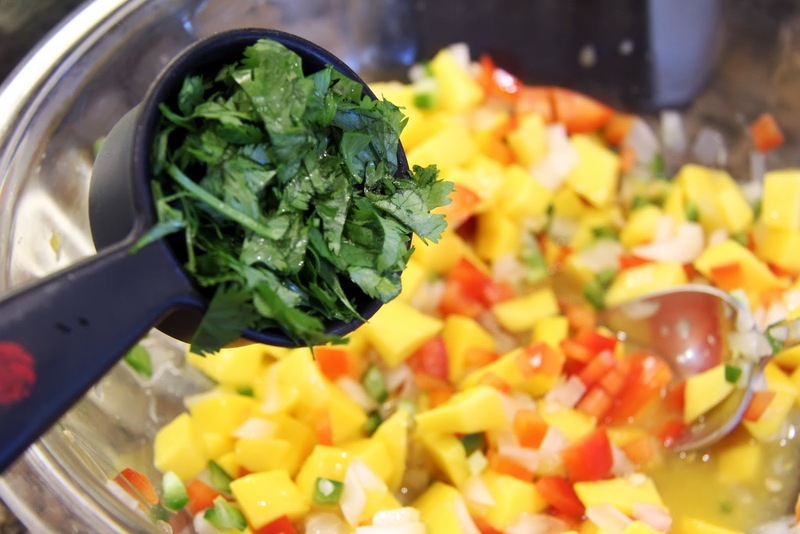 Add diced bell pepper (I like red for the color). Stir in cumin, salt and pepper. Taste it, add more salt and pepper if needed. 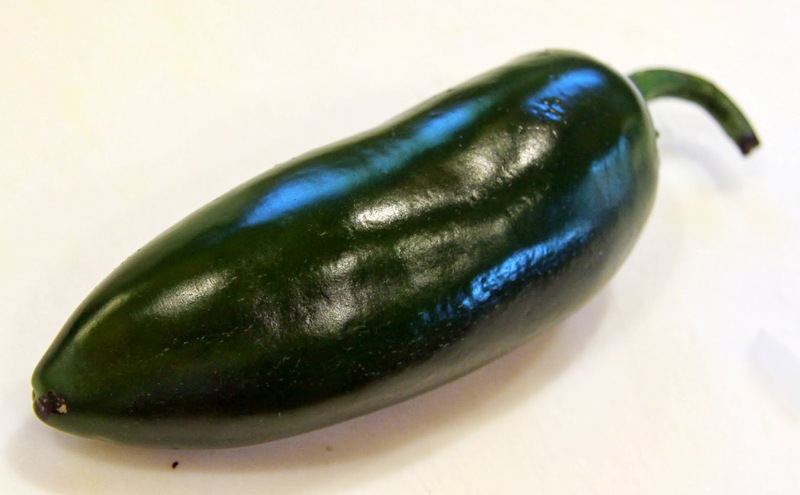 If it needs more heat, add more jalapeno or some hot pepper sauce (like Cholula or Tabasco). If it needs a bit more sweetness, add some honey or agave nectar. Refrigerate until needed. It’s nice if the flavors can marinate a bit before serving.